ENDGAME CHANGER: a review of "Avengers: Infinity War"
To the familiar regarding comic book lore, that specific issue of "The Uncanny X-Men" referenced above, the double issue finale of what is now regarded as "The Dark Phoenix Saga," was not simply a culmination of a storyline but also a game changer to the comic book genre itself, one so powerfully moving, seismic and possessing an air of such finality and permanence that it truly felt as if readers had experienced the end of a series rather than the next installment with another to follow in just a mere 30 days. When that issue was released in 1980, I was 11 years old. After having read and having been obsessed with comic and superheros for so much of my then young life, The X-Men soon became my favorite series as there was a certain maturity and sophistication in the writing from Chris Claremont and the superb illustrations from John Byrne, that felt to be the next wave or at the very least, several steps up from the heroes and villains that I had long been used to from both Marvel and DC. Reading that issue in particular left me with emotions that I had never experienced reading a comic book. Feelings of sorrow, intense loss and that inexplicable hollowness that just left me sitting in silence. That was the moment when I realized that comic books could hold the same power, depth, complexity of emotions, themes and concepts as the finest literature. And then...I read it all over again. Dear readers, my complicated feelings concerning the sheer amount of comic book related movies over these last ten years has been more than documented upon this site as my complaints have more been geared towards the sheer amount and frequency of these types of films being released at the expense of non-superhero/big-budget related features, than concerning any sense of quality. With the Marvel Cinematic Universe (MCU) now having reached its own 10th anniversary this year, I have long remarked that despite a couple of features, I have been mostly pleased as the films have carried a strong consistency in quality control, occasionally touching greatness as with my personal favorites, Joss Whedon's "Avengers" (2012), Peyton Reed's high flying surprise "Ant-Man" (2015) and of course, the MCU's greatest achievement, and already one of 2018's best films, Ryan Coogler's majestic, magnificent "Black Panther." Now with its 19th film, "Avengers: Infinity War," from Directors Anthony and Joe Russo, who have already heroically helmed "Captain America: The Winter Soldier" (2014) and "Captain America: Civil War" (2016), our on-going series has now reached a pinnacle so creatively and stupendously high that it would not have been a surprise whatsoever if the film itself imploded under its own immense weight. Even greater of a surprise is how deftly and confidently the Russo brothers have kept all of the pieces in place and play, like a collection of spinning plates magically held aloft, not ever threatening to fall to the ground. I have no idea whatsoever of how the Russo brothers accomplished what had to have often felt to be an insurmountable task but man, did they do it and with a superior flair, zest, verve, storytelling heft, imagination and undeniable risk taking that blended the triumph and the apocalyptic masterfully. In fact, by film's end, and with the sounds of gasps and tears in the audience all fading into a stunned silence, I was transported back to that time when I first read that devastating X-Men comic book for the first time. With "Avengers: Infinity War," the proverbial line in the sand has not only been crossed, it has been obliterated altogether, making for a motion picture experience that more than lives up to its own hype, legacy and sources of inspiration. So as not to produce any potential spoilers, I will keep the plot description to its basics. The intergalactic nihilist Thanos (played brilliantly by Josh Brolin), first glimpsed in "Avengers," is on the hunt for the six Infinity Stones (Mind, Time, Soul, Power, Space, and Reality) in his efforts to "re-balance" the universe...by randomly wiping half of the universe from existence. Attempting to stop Thanos are all of the MCU heroes we have come to know and love over these past 10 years. We have the reconstituted and renegade members of the Avengers of course, from Steve Rogers/Captain America (Chris Evans), Natasha Romanoff/Black Widow (Scarlett Johansson), Thor (Chris Hemsworth), Bruce Banner/Hulk (Mark Ruffalo), Sam Wilson/Falcon (Anthony Mackie), James Rhodes/War Machine (Don Cheadle), and yes, the man who began this entire MCU odyssey, Mr. Tony Stark otherwise known as Iron Man (Robert Downey Jr.). Joining them in this battle to end all battles, we also have Peter Parker/Spider-Man (Tom Holland), Doctor Strange (Benedict Cumberbatch), Wanda Maximoff/Scarlet Witch (Elizabeth Olsen), Vision (Paul Bettany), all five members of the Guardians of the Galaxy (Chris Pratt, Zoe Saldana, Dave Bautista, Vin Diesel and Bradley Cooper) and T'Challa/Black Panther (Chadwick Boseman) and the kingdom of Wakanda. For some of our heroes, the fight against Thanos is deeply personal, especially for two members of the Guardians of the Galaxy, plus Thor and Tony Stark. Yet, for everyone, it is a fight for the fate of existence itself, a fate that grows more dire with each Infinity Stone Thanos retrieves. Anthony and Joe Russo's "Avengers: Infinity War," like the very best films in this series, conjured up distinct and loving memories of the days when I poured over my comic books so intensely that the still frames often felt to vibrate with movement and sound. It is a film that also conjured with equal intensity the excitement I felt whenever the heroes in the comic books joined forces with each other, blending worlds and universes in ways that had previously felt to be inconceivable. The Russo brothers' have created a truly interstellar work that merges so many various comic book character universes plus physical and meta-physical locales that, again, I am stunned they were able to keep all of the parts in place as seamlessly as they did, and the result is a film that races far beyond the kaleidoscopic. Thankfully, the Russo brothers understand tremendously that all of the special effects in the world (even those as beautifully rendered as they are in this film) are meaningless without the greatest special effects of story, character and performance at work. 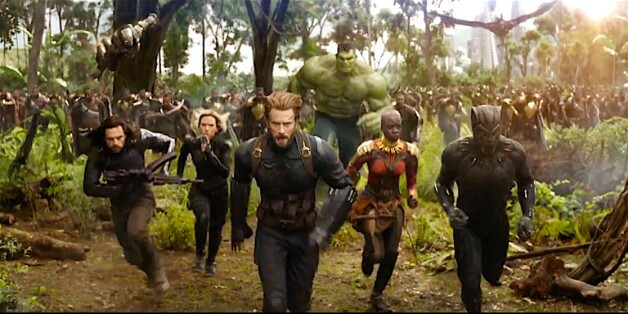 For "Avengers: Infinity War," every single performance is in lockstep with all of the previous adventures, both combined and solo, a d sometimes to even better effect than ever before. I know this may surprise some of you that are fans, but for my money the Russo brothers have created a better "Guardians of the Galaxy" film than the two that Writer/Director James Gunn has already helmed, as the balance of humor, pathos and character are handled much more cleanly and creatively than previously seen. And furthermore, Chris Pratt, Bradley Cooper and Zoe Saldana each have been given opportunities to broaden, strengthen and deepen their characters in ways that have only enhanced all of their performances. Yes, some of this can be attributed to the story of this particular film, but even so, I found myself caring and being interested in them to a level at which I never connected in their solo outings. For all of the copious, breathless action and bombast, I was also surprised at the level of humor throughout, mostly devised through the unlikely team-ups that occur through the film. Thor and Rocket the Raccoon, for instance, really made for some great moments as did the seething animosity between Tony Stark and Doctor Strange. But again, with this film serving as the simultaneous culmination of 10 years worth of cinematic storytelling with a plot that is indeed marching towards annihilation, The Russo brothers' "Avengers: Infinity War" is unquestionably the series' darkest and most doom filled installment, all of which leads to a conclusion that is brutally effective in its rampant desolation. Once again, NO SPOILERS here, but when it is all said and done, "Avengers: Infinity War" to me felt like a cross between Peter Jackson's "The Lord Of The Rings:The Return Of The King" (2003), J.K. Rowling's Harry Potter and the Deathly Hallows (2007), HBO's "The Leftovers" (2014-2017) and even Rian Johnson's "Star Wars Episode VIII: The Last Jedi" (2017) in terms of its own sense of conceptual risk and audacity in breaking apart what had already been so meticulously built upwards. Yes, beloved characters meet their respective fates and the reach is wide, the body count is quite high and again, filled with a level of surprise and dread with who stays and who goes. 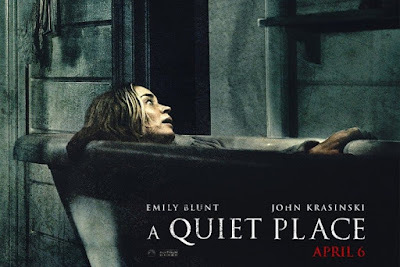 Now, we all know that the next installment has been filmed and will be released next year, and possibly some of what has occurred will be reversed somehow but regardless, the film's final image is unquestionably one of horrific solitude and disturbing calmness. Josh Brolin, who is essentially the star of this film, deserves tremendous credit for his performance, which could have drowned in a morass of villainous cliches. But, Brolin performed with a measured malevolence, a slow moving mountain of inevitability and execution, that climaxes to shattering effect, making for a villain that is as riveting as it is memorable. So...where do we go from here? How will the MCU even continue? For that matter, I am even unsure as to how this summer's release of Peyton Reed's "Ant-Man and the Wasp" can even fight into the scheme of things after what occurs in this film. But, that, in and of itself, is the magic of great storytelling and filmmaking. To keep us on the edges of our collective seats in anticipation, excitement, awe, and wonder as to what could possibly happen next. What Anthony and Joe Russo created is a rare achievement. To be able to envision and deliver a stunning, simultaneous conclusion and cliffhanger? As the iconic Stan Lee himself might say, "EXCELSIOR!!!!" Anthony and Joe Russo's "Avengers: Infinity War" is one of my favorite films of 2018. BOW WOW!!! : a review of "Isle Of Dogs"
Four years ago when I reviewed Wes Anderson's previous feature, the extraordinary "The Grand Budapest Hotel" (2014), I remarked that for his eighth film and one that had followed the exquisitely realized worlds of an eccentric prep school in "Rushmore" (1998), the John Irving styled novel universe of "The Royal Tenenbaums" (2001), the underwater fantasy of "The Life Aquatic With Steve Zissou" (2004), the Indian dream world of "The Darjeeling Limited" (2007) and the nostalgic early adolescent campground romance of "Moonrise Kingdom" (2012), it was a creation of such unrepentant imagination and creative liberation that it felt as if Anderson was just getting himself started! 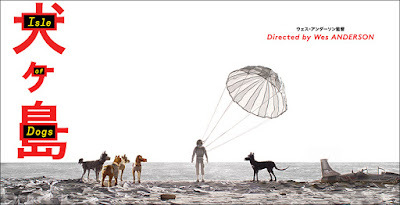 And now, we arrive with his astonishing ninth film, "Isle Of Dogs," his second stop animation film and a work that is positively bursting at the seams with such a boundless sense of invention and imagination that it makes his previous stop animation film "Fantastic Mr. Fox" (2009) almost look like an archaic Rankin-Bass production. As with "The Grand Budapest Hotel," Wes Anderson has again delivered a work of art that feels as if it has captured every fantastical thought that entered his head and magically, meticulously rendered all of them upon celluloid for our viewing pleasure. It is a marvelous achievement that urgently speaks to the intense need we all have for cinematic storytellers who possess a completely original vision, especially during our current motion picture era where seemingly every film is shouldered with the pre-requisite of being attached to a pre-existing work, be it novel, comic book, toy, or the next installment in an on-going franchise. 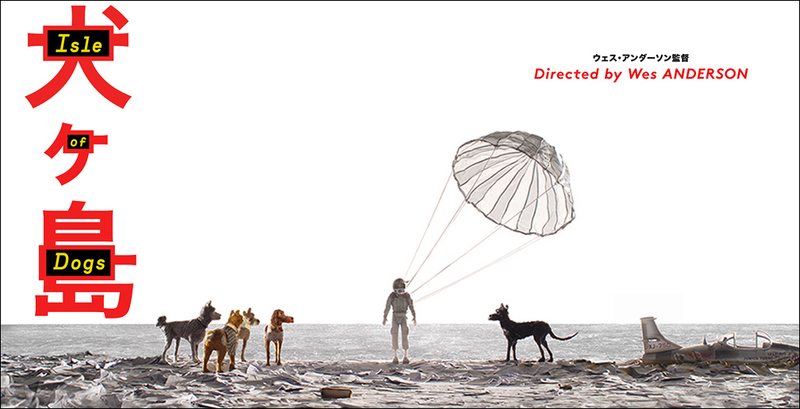 Wes Anderson's "Isle Of Dogs" is connected to absolutely nothing that has emerged before and is only beholden to the dreams inside of his fervently creative brain. We are all the better for it that a film like this even exists as there is absolutely not hing else like it in theaters at this time. If you wish to be swept away by something truly unique, this is the film unquestionably. Set in a dystopian Japanese society some 20 years in the future, Wes Anderson's "Isle Of Dogs" centers around the landscape of Megasaki City, which is run under the authoritarian leadership of the cat loving Mayor Kobayashi (voiced by Kunichi Nomura). As a dog flu virus has run amok throughout the canine population, the Mayor signs a decree that all dogs will be evacuated from the city and abandoned to the isolated Trash Island, despite the protests from a scientist named Professor Watanabe (voiced by Akira Ito), who proclaims that he could devise of a complete cure. Regardless, the first dog to be banished is Spots (voiced by Liev Schreiber), the dog that belongs to the Mayor's orphaned nephew and ward, the 12-year-old Atari Kobayashi (voiced by Koyu Rankin). Determined to find his dog, Atari sets off for Trash Island and is soon in the company of a pack of mangy, sickly dogs including Rex (voiced by Edward Norton), Boss (voiced by Bill Murray), Duke (voiced by Jeff Goldblum), King (voiced by Bob Balaban) and the mercurial, scruffy, former stray Chief (voiced beautifully by Bryan Cranston) who all eventually join forces to find Spots. While what I have described is the film's basic plot, it is a film that grows increasingly complicated as it also includes Japanese folktales, flashbacks and non-linear narrative structures, an American exchange student freedom fighter named Tracy Walker (voiced by Greta Gerwig), government conspiracies, cannibalistic dog packs led by Gondo (voiced by Harvey Keitel), a messenger black owl, kidney transplants, a wise and wonderful narration performed by Courtney B. Vance and whatever else tickled Wes Anderson's fancy and yet, it all makes blissful sense and flows richly, with the core of the love story between humans and their canine friends housed at the center. Wes Anderson's "Isle Of Dogs" is a resounding triumph, an ocean of unfiltered creative lovingly and painstakingly created and fully realized. The visual splendor is astounding, so much so, each and every frame of the film could easily be created into still photos to be hung and framed. The level of detail, color, depth, architecture, and structure contained within both the dog and human characters is jaw dropping, making this film the precise sort of visual feast that you want to see all over again just to soak in every single element. The film's story is one to find oneself lost inside of, again as if Anderson had written the most engrossing, enveloping novel as this is a beautifully written film. All of the voice performances--from Wes Anderson's fleet of usual suspects to a host of Asian actors and performers--contain the trademark Anderson deadpan, droll delivery. Plot elements certainly recall the teenage adventures of "Moonrise Kingdom" plus the doomed dogs that occasionally arrive in Anderson's films, from "The Royal Tenenbaums as well as the aforementioned "Moonrise Kingdom." And yet, even with a story that simply soars on fantasy, Wes Anderson again injects a serious gravity to the proceedings that provide the film with a powerful melancholy, longing and even a sense of urgency and tragedy. 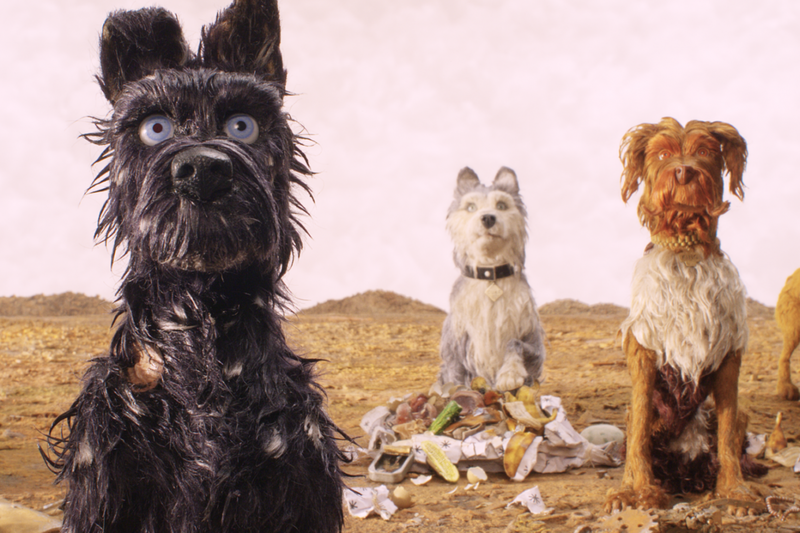 For those of you who may be curious to take your small children to this film due to its existence as being an animated feature, I would strongly advise you to give pause as "Isle Of Dogs" is decidedly not a children's film. In fact, compared with the brighter, more playful style and tone of "Fantastic Mr. Fox," this new film is a profoundly darker affair, which does touch upon themes of climate change and the perils of excessive waste, and it even includes a plot thread that threatens full canine extinction. Most of all, I really felt that the bonds between Atari, Spots and Chief plus the painful memories of the now captured and isolated dogs from their human friends to be more than palpable, especially as Trash Island is essentially an interment camp and the realities of families ripped apart do convey a powerful sadness, especially in one funny yet painful sequence as the canine quintet all discuss their favorite foods while living with their human families as they are now subjected to maggot ridden leftovers and garbage. But further and deeper, just regard the gorgeously detailed eyes of Atari and the cast of dogs as they come together and remember the loved ones lost and even though this is an animated film, I really felt it went quite a long way in acknowledging that our animal companions deliver to us everything that we give to them, making love fully and deeply reciprocated, with all areas of joy and pain ever present within this fantasia. As with the animals in "Fantastic Mr. Fox," Anderson utilizes the dogs to explore various stages and levels of human frailties and eccentricities, all the while allowing the philosophical and the primal to clash humorously as well as with a healthy amount of pathos. The character of Chief explicitly endures quite the considerable amount of soul searching as he reluctantly befriends the boy Atari and also builds a relationship with the purebreed Nutmeg (voiced by Scarlet Johansson), as he simultaneously desires and rejects emotional closeness because, as he often states plainly and plaintively, "I bite." At this time I do feel necessary to address the bit of controversy the film has been receiving as of late in regards to the charges of cultural appropriation on the part of Wes Anderson. While I do feel that the topic is worthy of being discusses, explored and debated, there are times in which I do tend to feel that in our pursuit of representation, inclusion, justice and fairness as we attempt to evolve, we can go a bit overboard at times. Simply stated, "Isle Of Dogs" is a stop motion animated film starring a collective of talking dogs, so let's gather some real perspective if we're going to address the topic of perceived racism. Nevertheless, we are here at this point and here is my take. Wes Anderson has made a full career building one cinematic universe after another that are all unapologetically artificial, especially when he wishes to travel the world. With India as presented in "The Darjeeling Limited" and Eastern Europe as depicted in "The Grand Budapest Hotel," we are certainly not being given anything approaching these locales as they exist in reality. This same tactic is executed in "Isle Of Dogs," as Anderson himself has professed in recent interviews that his film is in no way is representative of a real world Japan. His version of Japan is essentially a representation of the Japan that he has experienced within the films of Akira Kurosawa and "Isle Of Dogs" was purposefully designed to exist as an homage to Kurosawa's films. So, if movies are dreams then "Isle Of Dogs" is essentially a cinematic dream within a cinematic dream and who can honestly find fault with that? Criticism has been lobbied against the Caucasian Tracy Walker character as being sort of a "White savior" to the goings-on in the film and to that, I again disagree wholeheartedly as well, as her efforts plus those of the Japanese Atari are of a combined force for the good of the dogs and to Japan itself. Finally, it should be noted (and it is even noted within the film itself), that while all of the dogs do speak English, all of the human characters speak within their native languages, the Japanese characters often without the use of any subtitles. Again, if that is not showing a certain sensitivity or reverence, then I am not sure of what else Anderson could have done to ensure audiences that he is not being culturally inappropriate. Frankly, dear readers, while we do need to take great care of how we represent others who are not like ourselves, I could not imagine a world where our artists are stifled so severely that they have to always remain in their respective lanes, so to speak. Should White artists only ever create stories about White characters in predominantly White populations? Going further, should male artists only ever write about men? Certainly not. If we are to learn anything from Wes Anderson's "Isle Of Dogs" regarding this issue, perhaps it is how Anderson him self was wholly inspired by another artist of another race and generation, an inspiration that eventually led him to make this film in the first place. Just imagine if aspiring filmmakers and film viewers are inspired by "Isle Of Dogs" to go and discover Kurosawa and other filmmaking points of view? Isn't that something to be encouraged and therefore, celebrated? Wes Anderson's "Isle Of Dogs" is undeniably cause for celebration. For filmmaking, for storytelling, for being able to delve into a world of blissful creativity and pure imagination and just seeing where it takes you. And of course, for those of you with dogs--and for that matter, for any of you who count themselves fortunate to have an animal companion in their lives--it is cause to celebrate the bonds that we have each forged between the species in admiration respect and love. Wes Anderson's "Isle Of Dogs" is easily and already one of 2018's highest achievements. "Avengers: Infinity War," from Directors Joe and Anthony Russo, was originally scheduled to arrive in the first week of May, but all I can gather is that the powers-that-be are either extremely happy with the results or wish to strike at those "Black Panther" dollars sooner or both because the long in the works epic is arriving in the last week of this month...and of course, I am more than ready to discover if the Russo brothers have been able to successfully pull off what has been teased as a game changer for this series. "A Quiet Place" from actor, co-writer and director John Krasinski arrives this month and features a horror tale in which the concept of sound itself is the key that unlocks the door to the terrifying monsters out to get you. Now, as I have expressed many times on this site, I am not one to typically choose to see a horror film. Yet, with one that has as interesting a concept as this one, I just might brave it (maybe I'll take some ear plugs for those inevitable sonic jump scares). Don't get me started on the absolutely ridiculous release schedule for Wes Anderson's latest film "Isle Of Dogs," but I am hoping the film will arrive in my city very, very soon as I am still anxiously awaiting to experience it. With that, I think I have a more than full cinematic plate on my hands for the month, or at least, a plate that has room for some more if possible. So, as always, I'll see you when the house lights go down!